Police officer Lau (Leung Ka-Fai) sees his relatively ordinary life spiral downwards when his close friend and colleague Fatty Ho (Kent Cheng) commits suicide. Although the tragedy leaves an indelible mark within Lau, he tries to continue with his aimless life and moves to a new apartment building. 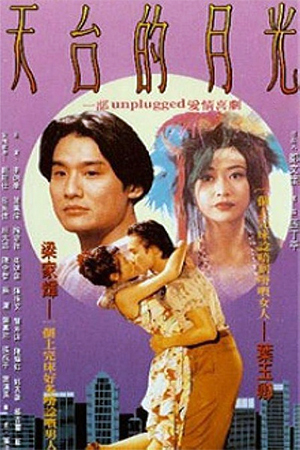 Shortly after the move, Lau meets fellow resident Hiu Tung (Yip) after she is robbed by a supposedly amorous admirer and, out of embarrassment, lodges a fictionalised version of events with the police. The police officer and his colleagues are amused by her peculiar description of the robbery, but are surprised when she returns to apologise and brave the ridicule of the police force. Henceforth, Lau befriends his neighbour and her young son, learning of her difficult life and the aggressive ex-husband who left her in such desperation. Though Lau’s interest is purely amicable, Hiu begins to form a longing for him and Bobo, her son, looks to him as the father he never had. Just when the usually commitment-phobic Lau begins to warm to the idea, Hiu’s louse of an ex, Screwball (Liu), returns after three years away and demands that his wife and child accept him back with open arms. Meanwhile Lau’s ex-girlfriend also manages to throw a spanner in the works with a throwaway comment to Hiu, something that adds to the pressure that their fledgling love faces. Tony Leung Ka-Fai is an actor who is trapped in an on-screen dual-personality; sometimes he’s one of the finest actors in Hong Kong and at other times he’s merely the hammiest. Pleasingly, ‘A Roof With A View’ sees Leung in the former role and it is his performance – alongside the excellent Veronica Yip – that makes the film so enjoyable. Their portrait of two of life’s victims who fall in love is touching and humane, never crossing the line into insincere sentiment. There’s also a welcome addition of quirky humour that, when controlled, adds another layer to the characters. Director Tony Au is well-versed in balancing romance with drama, but here he shows a skill for blending a touch of comedy into the mix. ‘A Roof With A View’ is therefore a three-dimensional romantic film that never over-uses the comedy nor over-does the drama. Hong Kong cinema has long been fascinated by romantic films that concentrate on the under-appreciated of society and shows their warm-hearted dalliances with love – ‘A Roof With A View’ is another fine example of this. The pace flags slightly near the end with a final section that is needlessly padded out, but there’s much to absorb in Tony Au’s work. 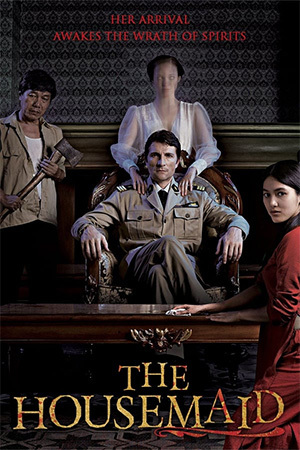 A quality production, a delicate romance and a pair of lead stars who gel together superbly – a certain recommendation.